After buying a new mattress pad, most people completely forget that such a minor detail also requires special care. Of course, it is much easier to ensure proper care for a mattress pad than care for a pillow or blanket. But if you are reading this article then you definitely care about your quality of rest. So let’s just move on without many words to the basic care tips. Turn over the mattress pad. Use the program of washing machine for delicate garments at low temperature with mild liquid detergent without softener. Follow the washing recommendations on the label. Perform a second rinse to avoid any residual detergent remaining in the mattress pad. Dry in a dryer or outdoors, avoiding direct sunlight. 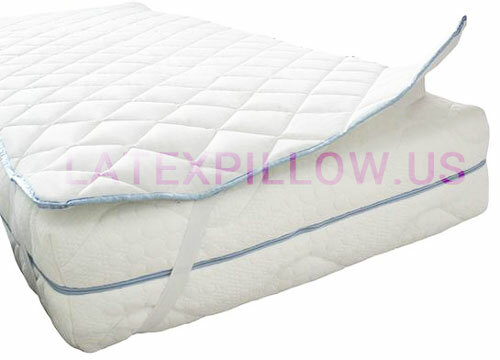 In polyurethane mattress covers, it is not possible to perform a dry cleaning, since the polyurethane loses its qualities.